In addition to our extensive range of concrete paving slabs, Lovie also supplies NaturalPave™ a range of natural stone paving. 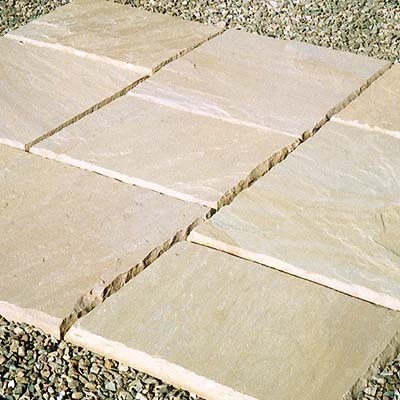 The paving slabs have a natural ‘Split’, ‘Sawn’ or ‘Textured’ face, each one unique. The ‘split’ face slabs are split then all the edges are ‘fettled’ by hand to provide a more rustic appearance. These are available in two different colours, gold slab and blue slab. The Gold Sandstone slabs are split then all the edges are ‘fettled’ by hand to provide a more rustic appearance. They are available in 900mm x 600mm, 600mm x 600mm, 600mm x 300mm and 300mm x 300mm. In our NaturalPaveTM range we have 2 colours of granite – Silver and Charcoal (dark grey). Both granites are cut by saw to give them square edges and a uniform nominal thickness of 20mm. The surface of the slabs are then heated which gives them a natural looking texture. 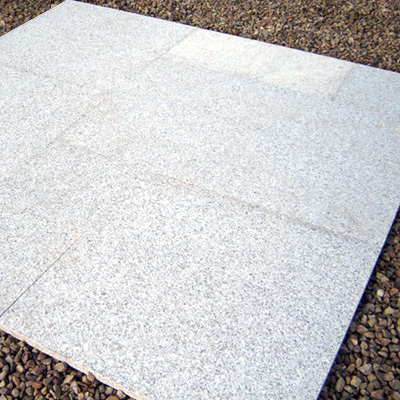 Silver Granite is available in 4 different sizes – 900mm x 600mm, 600mm x 600mm, 600mm x 300mm and 300mm x 300mm. Charcoal Granite is available in 600mm x 600mm. An important note about colour reproduction. Every care has been taken to ensure that the images have been calibrated as closely as possible to the real product. However, it is important to point out that the factory settings of monitors can differ significantly. Therefore, to avoid disappointment we suggest that you contact us to obtain a sample or visit our display area before making your purchase.